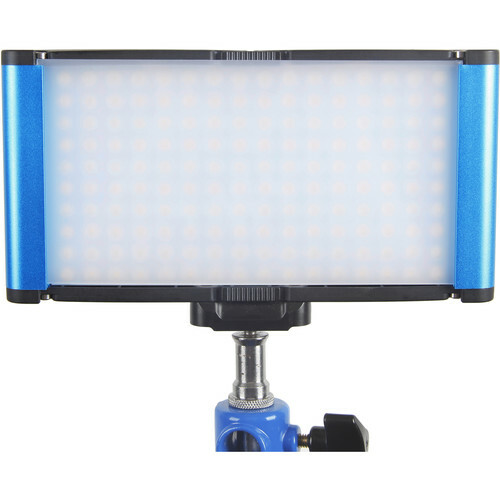 The Dracast Camlux Pro Daylight On-Camera Light Kit is an ultra-compact fixture that is fully enclosed in an anodized blue aluminum body. It features 160 LED's on the light board in daylight. Box Dimensions (LxWxH) 9.15 x 6.9 x 4.35"
Does the Dracast Camlux Pro Daylight come with a soft diffusion filter or CTO? Most of these answers are correct. The CamLux Pro Daylight comes with a slide-in diffusion filter, but not with any CTO filter. // Also, if there are any other technical or product related questions, feel free to contact us directly at any time at support@dracobroadcast.com.